Maximizing the nutritional benefits of an everyday diet can improve your health. That’s why we hope our Pointe at Suwanee Station community members in Suwanee, Georgia, will consider these trending superfoods. This yellow spice is extracted from a root in the ginger class and is commonly found in Indian and Asian dishes. Among its many health-boosting benefits, turmeric has been considered an anti-inflammatory and among the longest used in herbal medicines. Other superfood claims include skin health, reduced joint stiffness and mood balance, among others. You can find it in most major supermarkets in the spice aisle. This berry is said to enjoy powerful antioxidant value, and it’s rich in vitamins A, C, and minerals such as zinc and iron. Remembered for its tart taste, it’s a popular item in health bars, granola, and cereals, among others. Some say that Goji berries are helpful in reducing the risk of cancer, boosting the immune system and even promoting fertility. This leafy cabbage carries a mildly bitter flavor and is easy to grow in home gardens and windows. Kale recently leaped into the superfood discussion, and health advocates include it in everything from smoothies to salads and soups. The green or purple leaves are said to have anti-inflammatory properties, improve heart health and promote good vision, among other benefits. 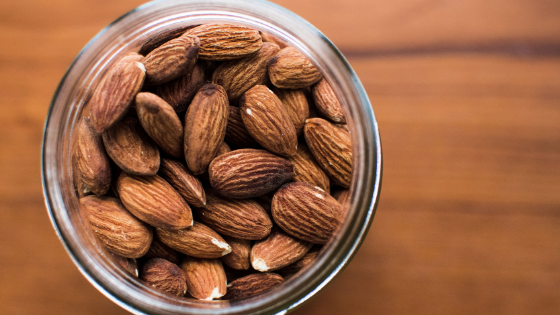 Although underappreciated, many consider almonds to rank among the healthiest of the nut family. While peanuts get plenty of promotion as being a source of heart health, almonds are said to boost brain activity, help regulate blood pressure, enhance the immune system and reduce the risk of heart disease. We hope our Pointe at Suwanee Station community members enjoy these superfood suggestions. If you or a friend would like more information about our Suwanee apartments, call us today.